Remove the fridge. The Campervan fridge freezer is superb. 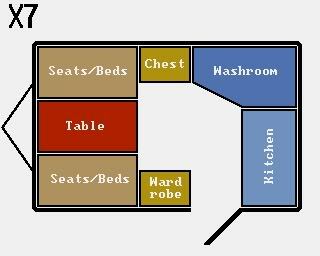 Investigate if removing the wardrobe is feasible and extend the second sofa? If required replace the use of the table with lathes on webbing for the bed support. This should give two long sofas for “feet up” lounging and make moving around the little caravan more user friendly. If it all works we may go further and fit hot water/heating and maybe a motor mover. This would make it much easier to shuffle the caravan around on our frontage. This is the layout now. The fridge is shown here as Chest. If you imagine the table shortened by between one third and one half ,you can see that a lot more floor area is exposed and more wall will be seen where the fridge and the wardrobe once were. 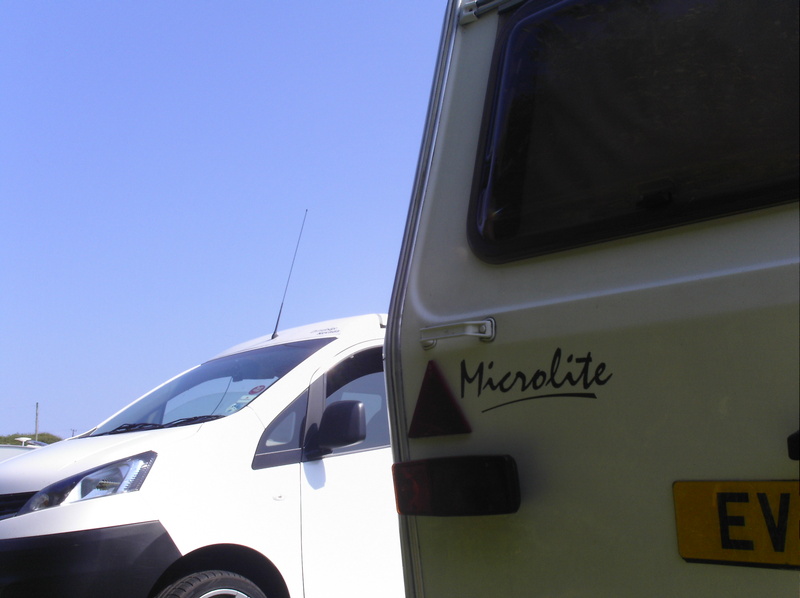 It should give a much more open feel to the Microlite. We shall have to watch weights if we fit hot water and heating as well as a motor mover. Local weighbridge is friendly (ish).